Chase Sapphire Preferred Card lets you earn 60,000 bonus points after you spend $4,000 on purchases in the first 3 months from account opening. This is the card to get started with. Get Sapphire Reserve later, perhaps product change to it after a year, this is the easier card to get approved for and it has a better annual fee. Points transfer to United, Hyatt, Southwest, British Airways, Virgin Atlantic, Singapore Airlines, JetBlue, Air France KLM, Marriott Rewards, IHG Rewards Club, and Ritz-Carlton. Probably the best all-around credit card, certainly for getting started in the hobby, and with a great signup bonus. Since in general Chase doesn’t approve this card for folks who have signed up for 5 or more new card accounts in the past 24 months, it’s the first card you should apply for. CitiBusiness® / AAdvantage® Platinum Select® World Mastercard® is offering 70,000 AAdvantage miles after $4,000 in purchases in first 4 months. This card has a $0 annual fee the first year (then $99). The card offers first checked bag on domestic American Airlines itineraries. There’s preferred boarding on American flights. In addition cardmembers earn an American Airlines Companion Certificate for domestic main cabin travel after $30,000 spend or more in purchases each cardmembership year and cardmembership renewal. Citi® / AAdvantage® Platinum Select® World Elite™ Mastercard® has an offer to earn up to 60,000 American Airlines AAdvantage® bonus miles after making $3,000 in purchases in first 3 months. There’s a $0 annual fee the first year, then $99. The card offers first checked bag on domestic American Airlines itineraries. There’s preferred boarding on American flights. Ink Business Unlimited(SM) Credit Card is included here because while its initial bonus is $500 bonus cash back after you spend $3,000 on purchases in the first 3 months from account opening, the value of the bonus shoots up if you have a Chase card whose points transfer to miles like Chase Sapphire Preferred. Transfer these points to that other Chase card and then those points transfer to miles. And it’s a no annual fee card that earns unlimited 1.5 points per dollar for ongoing spend. Barclays AAdvantage® AviatorTM Red World Elite Mastercard® has an offer to earn 60,000 American Airlines AAdvantage bonus miles after first purchase within 90 days of account opening and paying the card’s $95 annual fee. Cardmembers receive one free checked bag (on domestic American Airlines itineraries for you and up to four companions traveling with you on the same reservation) and preferred boarding on American Airlines domestic itineraries. You get 10% of your miles back (up to 10,000 rebated per calendar year) when you redeem miles. 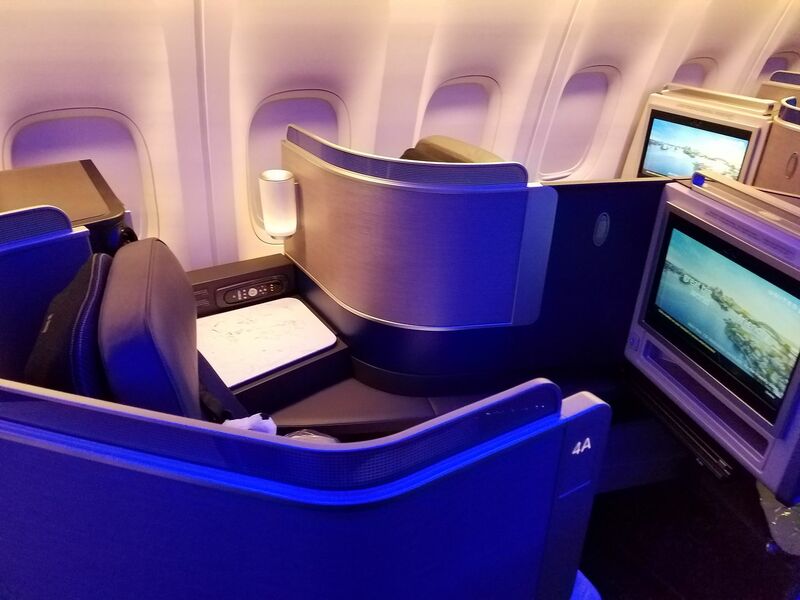 UnitedSM Explorer Card is offering up to 60,000 miles: 40,000 after you spend $2,000 on purchases in the first 3 months and an additional 20,000 bonus miles after you spend $8,000 total on purchases in the first 6 months your account is open. What’s great about this $0 the first year then $95 annual fee card is the travel benefits when flying United. You get first bag for free when you use your card to purchase your ticket. You get priority boarding (avoid having to gate check your carry on, and indeed on a Basic Economy fare you can still bring on a full-sized carry on bag). You’ll get 2 one-time United Club passes each year for your account anniversary as well. Cardmembers get access to last seat availability on extra miles awards as well as extra saver award availability that general members don’t have. 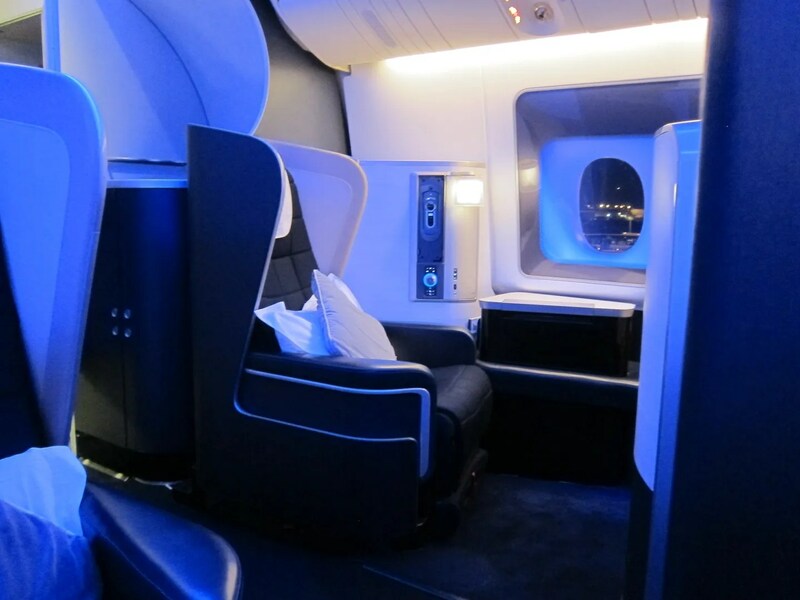 Elites with the card can receive complimentary domestic upgrades on award tickets. Citi Premier℠ Card has an initial bonus of 50,000 points after $4000 spend within your first 3 months of cardmembership. The card’s $95 annual fee is waived for the first 12 months. It earns three points on travel including gas stations and two points on restaurants and entertainment. Points transfer to a variety of airline frequent flyer programs. IHG® Rewards Club Premier Credit Card will let you earn up to 120,000 points: 80,000 bonus points after spending $2,000 on purchases within the first three months of account and 40,000 more bonus points after spending a total of $5,000 on purchases within 6 months of account opening. Cardmembers receive platinum status for as long as they remain a cardmember. There’s a Global Entry or TSA Precheck fee credit (up to $100 every 4 years) as well. Marriott Bonvoy BoundlessTM Credit Card has an initial bonus offer of 100,000 points after $5000 spend on purchases in the first 3 months of cardmembership. It also comes with an annual free nightafter each account anniversary valued for hotels which cost up to 35,000 points. Marriott Bonvoy Business™ American Express® Card has a limited time offer to earn 100,000 bonus Marriott Bonvoy points after you use your new Card to make $5,000 in purchases within the first 3 months. This offer ends April 24, 2019. Cardmembers receive a Free Night Award every year after account anniversary as well as an additional Free Night Award after you spend $60,000 in purchases on your card in a calendar year. Each can be used for one night whose redemption is 35,000 points or less. British Airways Visa Signature® Card lets you earn 4 Avios for every $1 spent on all purchases within your first year up to $30,000. That’s up to 120,000 bonus Avios. And if you spend $30,000 in a calendar year you earn a Travel Together Ticket good for two years which can double the value of your Avios on a single redemption for 2 people. So you’ll earn 4 Avios for every $1 spent on all purchases up to $30,000 in the first 12 months from account opening, you will then earn 3 Avios for every $1 spent on British Airways purchases and 1 Avios for every $1 spent on all other purchases. Barclaycard Arrival Plus® World Elite Mastercard® has a best-ever offer of 70,000 miles after $5000 spend on purchases within 90 days of cardmembership. When you redeem points at a penny apiece towards travel you get 5% of your points back, and you can redeem those at a penny apiece towards travel, and get 5% of your… I view this as $735. There’s no annual fee the first year, which is also fairly new. It hasn’t always been the case that the card’s $89 fee has been $0 the first year. So first year you’ve got that initial bonus without deduction. Here are the card’s rates and fees. The World Of Hyatt Credit Card is fantastic for anyone who likes Hyatt. It makes earning elite status easier, and spending is rewarding — for Hyatt stays, for bonus categories, and because of the additional free night after $15,000 in spend each cardmember year. The initial offer is to earn up to 50,000 Bonus Points – 25,000 Bonus Points after you spend $3,000 on purchases in the first 3 months from account opening plus an additional 25,000 Bonus Points after you spend a total of $6,000 on purchases within the first 6 months of account opening. You’ll receive 1 free night every year after your cardmember anniversary at any Category 1-4 Hyatt hotel or resort and earn an extra free night at any Category 1-4 Hyatt hotel or resort if you spend $15,000 during your cardmember anniversary year. The card lets you get automatic World of Hyatt Discoverist status for as long as your account is open and 5 qualifying night credits toward your next tier status every year and also earn 2 qualifying night credits towards your next tier status every time you spend $5,000 on your card. Think there’s a card that belongs on this list but isn’t here, leave a comment! I thought the 10% mile rebate went away for all AA cards, including the Aviator Red? Also, I was targeted by Citi (not AA) for a 65k/$4k/3mo signup bonus on the AA Platinum Select, with the AF still waived the first year. Prospective applicants with other Citi cards should check their inbox before using the public offer. My offer expires May 10. Marriott BonVoy has a new affiliate program now. Did you know they’re in affiliate marketing? @george – Aviator Red card is losing that benefit, and thus they’ll lose my business on the card. @Robert Same here. We’ll be downgrading to the no annual fee card. We’ll try to get one last AA trip in before the end of the year to take advantage of our last 20K savings (2 accounts). Lucked out on the perpetual 10K Anniversary bonus this year just before cut off time. Is it possible to get the Barclaycard Arrival Plus bonus if you have had the card previously? Is there a waiting period to get the bonus a second time or can you only get the sign up bonus once? I think I have enough credit cards for now but I might consider in the future after I finish paying some $ gUaP $ to a creditor.